SBN - Soccer Betting News - SA's Leading Soccer Betting Newspaper: Pitso: Where am I going to get a Tau replacement? Pitso: Where am I going to get a Tau replacement? Mamelodi Sundowns coach Pitso Mosimane says replacing a player like Percy Tau was always going to be a huge challenge even for the reigning PSL champions. Sundowns sold the Premiership Player of the Season to English Premier League outfit Brighton for a fee in the region of R50 million, and he was then loaned to Royale Union Saint-Gilloise in Belgium's second tier. Tau was massively influential when they won the title in 2017/18 as he scored 11 league goals and provided countless assists. The 24-year-old is now enjoying success with his Belgian side as well where he has managed four goals and five assists in 13 appearances in all competitions. 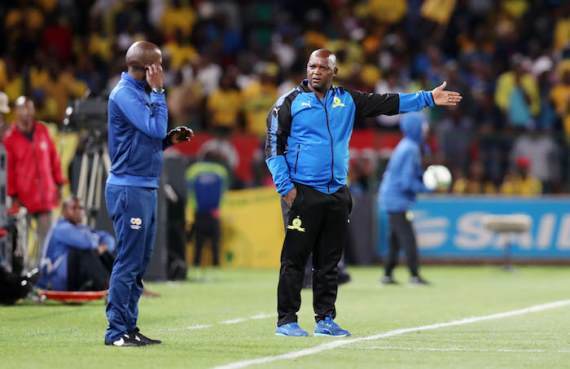 As such, Mosimane, who was recently a dignitary for the Nelson Mandela Challenge game between Bafana Bafana and Paraguay, admitted that replacing him was always going to be tough. Speaking to the media, he said: "I told you guys it'll be difficult for me to replace Tau and you guys are not listening to me, and you don't understand. "If you don't have a player like that, you tell me where I'm going to get it? But this is not the space for me to talk, this is SAFA's space."